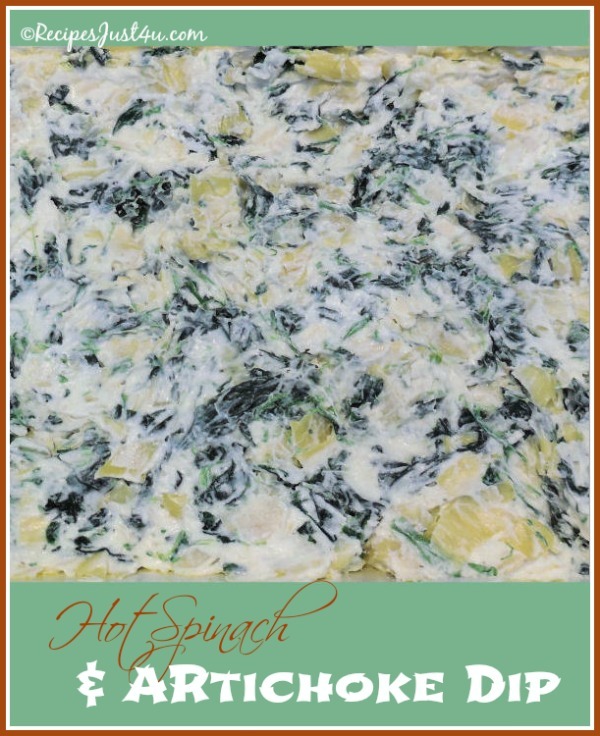 Hot spinach artichoke dip is one of my favorite things to get when I am in the mood for a little something extra before meals at my favorite restaurants. Easy appetizers like this are great to have on hand for the my recent round of Christmas parties. My guests always love it when I serve this. 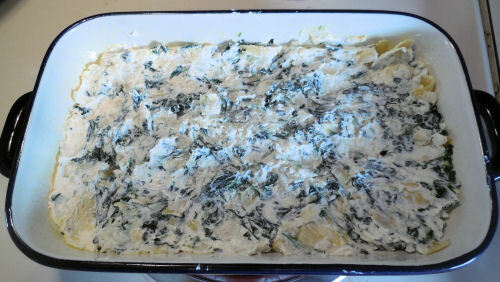 Let’s Make some Spinach Artichoke Dip. The recipe is quick and easy to do and can be made ahead of time and heated just before you are ready to serve it. 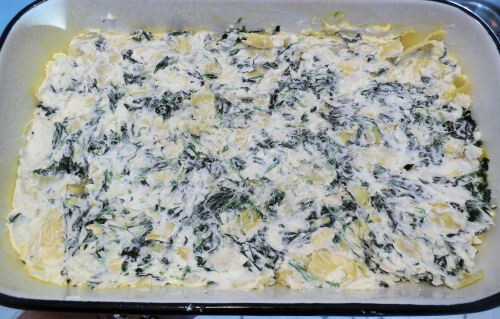 Preheat the oven to 350º F. Start by mixing together the cream cheese, mayonnaise, Parmesan cheese, Romano cheese, minced garlic, fresh basil, garlic salt, salt and pepper. It will be quite thick. The stars of the recipe! The spinach and artichoke. Be sure to remove as much liquid as possible from the spinach so that it does not water down the dip. 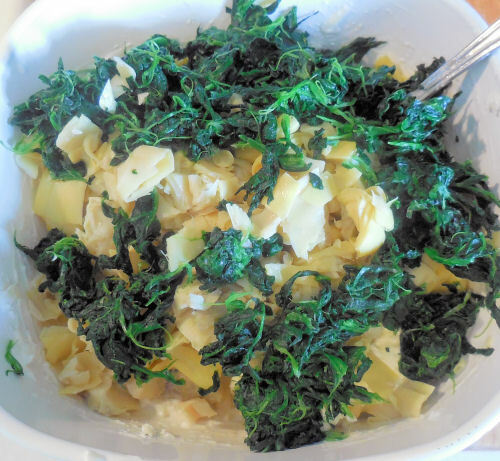 Combine to mix well so that the artichokes and spinach are evenly distributed throughout the cheese mixture. Transfer the mixture to a baking dish sprayed with Pam cooking spray. Bake in a preheated oven for 25 minutes, until the mixture is bubbly and lightly browned. Serve with baked pita chips or your favorite cracker. Enjoy! 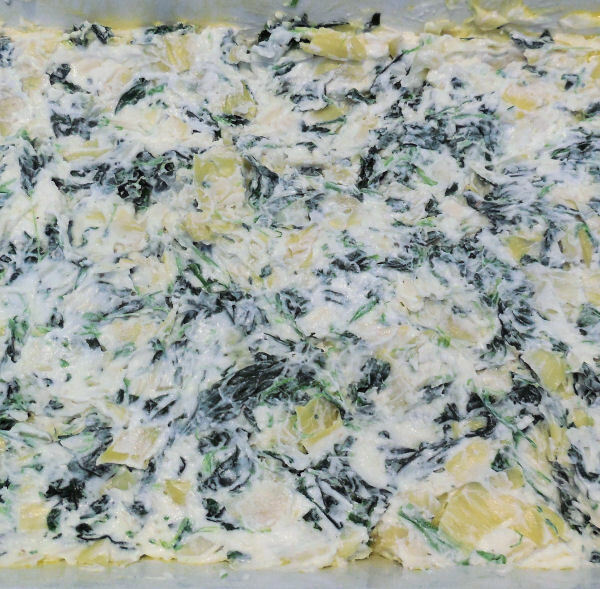 This hot party dip features artichoke hearts and cream cheese. It is easy to make and super tasty. Preheat the oven to 350 º F. Lightly grease a small to medium sized baking dish. 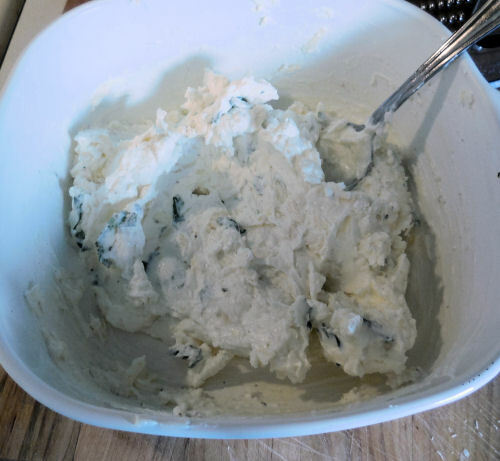 In a bowl, mix together the cream cheese, mayonnaise, Parmesan cheese, Romano cheese, minced garlic, fresh basil, garlic salt, salt and pepper. 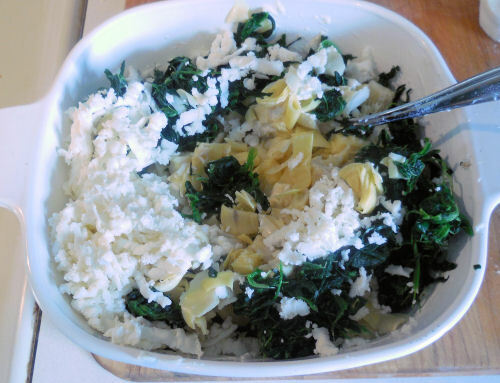 Stir in the chopped artichoke hearts, spinach, and mozzarella cheese and mix well. Transfer the mixture to the prepared baking dish. Bake in a preheated oven for 25 minutes, until the mixture is bubbly and lightly browned. Serve with Pita chips with a light sea salt coating.